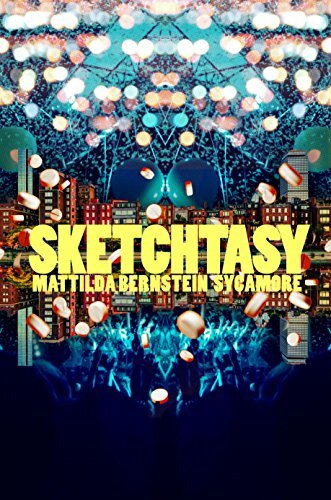 In Sketchtasy, Mattilda Bernstein Sycamore attempts to take a page from Bret Easton Ellis or Chuck Palahniuk, with a fierce, glittery, fast paced romp through 1990s Boston. While not as well executed as Glamorama or Invisible Monsters, the book tries to create the dreamlike quality and thrilling pace of those novels. The story follows Alexa, a twenty-something “queen” living in Boston on her own terms, through a swirl of drug-addled days and nights that all seem to blend into one another. While the book celebrates the independence of its main character, there is a profound sense of loss and emptiness that pervades the story from start to finish. This book, while not always an easy read, touches on some social issues—from AIDS to queer bashing—that are as important today as when the book took place. The power of the book, is that it forces the reader to take notice of these issues that are sometimes uncomfortable to look at. The novel is at times confusing and disorienting, as the first-person narrative moves quickly, almost jerking the reader from scene to scene. The descriptions of 1990s Boston are charming in their authenticity. For anyone who spent time in Boston as a young person during this period, Sycamore will bring you back to clubbing on Lansdown Street, cocktails at Luxor in Bay Village, a night of dancing at Chaps, or just watching the chic bartenders at Club Cafe. But the charm of the novel ends with its nostalgia. The jerky pace of the narrative attempts to convey the drug-addled mindset of Alexa as she goes from one high to the next, with the hangovers and let-downs of regular life in between, but it’s not an enjoyable read. The result is a book that is hard to follow, with characters that are difficult to form a connection with. The author often loses the reader, and unlike Ellis, who uses a similar narrative technique in Glamorama, there isn’t enough substance to keep the reader hooked. But, and here is the important difference, where Ellis creates a series of intricate and deft scenes in Glamorama, linked with the fashion and clubbing scene in New York during the 1990s, Sycamore creates a disjointed, lonely, and sad story of a gender-fluid youth with daddy issues, living in a rundown neighborhood on the outskirts of Boston. Ellis created a fantasy that glamorized vapidity and emptiness, whereas Sycamore seems to be forcing the reader to look at social injustices in a way that makes us realize the world is unfair. Unfortunately, the message of the novel comes at the price of an enjoyable read. The book, while good hearted, is hard to follow and the narrative is congested. Recommended if you are looking for a night out in 1990s Boston. If not, you might want to take a pass on this one.